Well Damn! I Just Realized I May Have Channeled Willie from Duck Dynasty! - JP loves LIFE! Well Damn! I Just Realized I May Have Channeled Willie from Duck Dynasty! 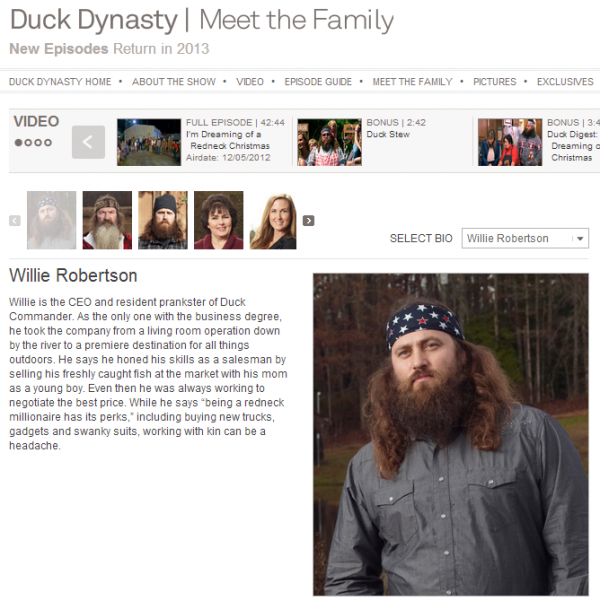 I don’t know if you watch Duck Dynasty on A&E, but I have to admit to enjoying the show immensely. Why do I love Duck Dynasty? It may be because I have gone to lots of meetings in Monroe, Louisiana where the show is set (in fact, my first work trip ever in agriculture was to Monroe when I was stunned to find out you could buy Long Island iced teas in a drive thru). It may be because I have so many friends who spent their winter months duck hunting….. I’ve even gotten lessons on how to tie decoys at lunch one day. And that was in Memphis, not on a turnrow of a rice field somewhere! 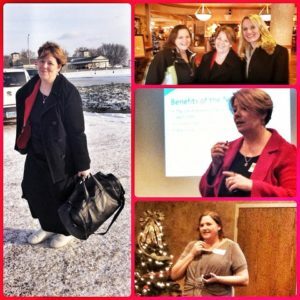 It could be the personalities involved…. I swear it could just as easy star Bubba who used to manage a farm supply store I regularly bought gas from and who I borrowed a wet saw and a belt sander from when I was renovating my first house. Bubba and I joked one day that I was a Delta guy’s dream cause I had left my house one morning wearing pearls and putting a few guns in the car! Or it could be how the family dynamics make me laugh til I hurt…. whether it’s Willie pushing Jase to the point where he actually builds himself an office or Phil teaching granddaughters the “redneck way” or Si eating donuts til he pops just so he could win a bet (slow and steady). But I always thought of it as entertainment until this week when I realized I saw a little of myself in Willie Robertson. In case you don’t know who I’m talking about, here’s a screenshot of the biography page A&E has. So why am I like Willie? If you’ve watched an episode or two, you have to know what happens when Willie doesn’t want to do something. I wish they had all the full-length episodes on A&E, but you may have access through another service. In fact, as I write this, I am watching “A Redneck Christmas” (the true meaning of Christmas? faith, family and facial hair) on demand but you can also catch it online. But the episode that I most clearly remember his saying something that I think I’ve channeled was the episode where they were “Sweatin’ Bullets” and the guys from the warehouse build a redneck waterpark. Check your online services to see if you can get that episode. I’ve heard Willie dig in on things several times, but for some reason it is vivid when Willie digs his heels in and says he will not do something. Absolutely not going to happen. And then of course, something happens that he changes his mind and he goes along and enjoys himself with swing into the lake. My channeling him wouldn’t nearly as easily fit into a 45 minute episode, but this summer when I made my first trip to North Dakota….. I protested the idea of coming back anytime soon saying I wouldn’t visit til winter had passed. Well, Sunday night as I flew into Bismarck with a temperature of -7 degrees Fahrenheit I guess that got busted all to hell. Mind you, it was far too cold for my Southern mind to process what was happening in such frigid temps, but once I thawed out good and was able to relax, I realized going with it was the right thing to do. Meetings with the North Dakota Department of Ag, commodity organizations and members of the public. My tour of the capitol, complete with insider tour guide Dane Braun. The view from the observation deck at the capitol in Bismarck. By the way…. my favorite part of the show is usually when Jase just lays out something in his “confessional video” spots. CRACKS ME UP routinely. What have you said you’d never do that turned out to be pretty good after all? I always knew I wanted to have a farm, always said that it wouldn’t be a dairy farm. I started a personal Facebook account. Look what happened to me. The beginning of the end! That is one I’ve heard other people say and life to regret. Hopefully you think it turned out alright! Sounds like your trip to ND in the winter ended up Happy, Happy, Happy, JP! Oh and Uncle Si is my favorite. Yyyyyyyeppppp! It was happy, happy, happy as Phil would say.Have you seen the video of all the catch phrases? TOO FUNNY!!!! I thought I’d cry as Jase did the commentary on the donut eating and Si was just keepin on! And teaching Sadie to drive? LOL! I love Duck Dynasty and way to go on braving the cold ND winter!